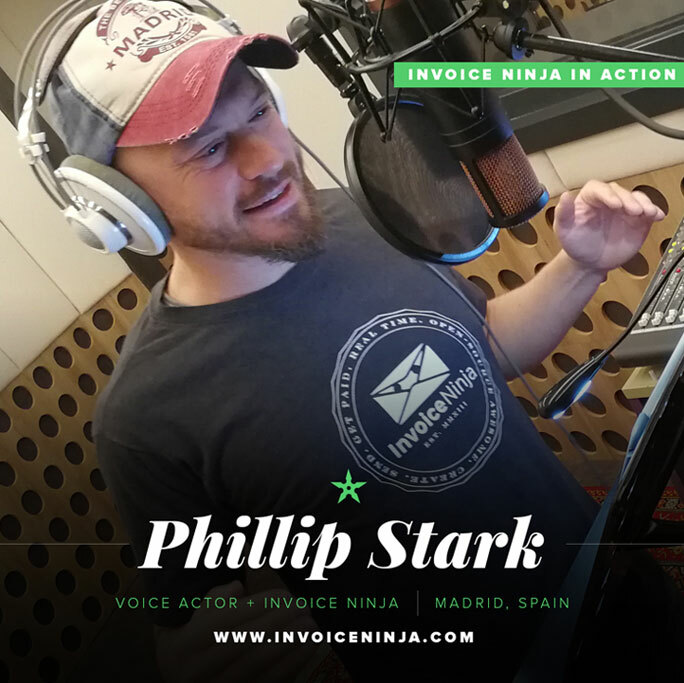 Are you an Invoice Ninja? Contact us and we'll highlight you! Phillip Stark, American creative director, content producer, and entrepreneur based in Madrid, Spain. Phillip is also a writer, lyricist, musician, and voice talent. He wrote a 60-episode web series for academic publisher McGraw Hill, he has licensed his original songs to brands such as Rip Curl and Axe Shower Gel. Samuel started in video games when flash was the future, later moving to web agencies when social networks entered the scene. Eventually, he moved to data analysis when the era of big data arrived before founding his own development agency, Lalop, where he works on a broad range of dev projects for web and mobile. 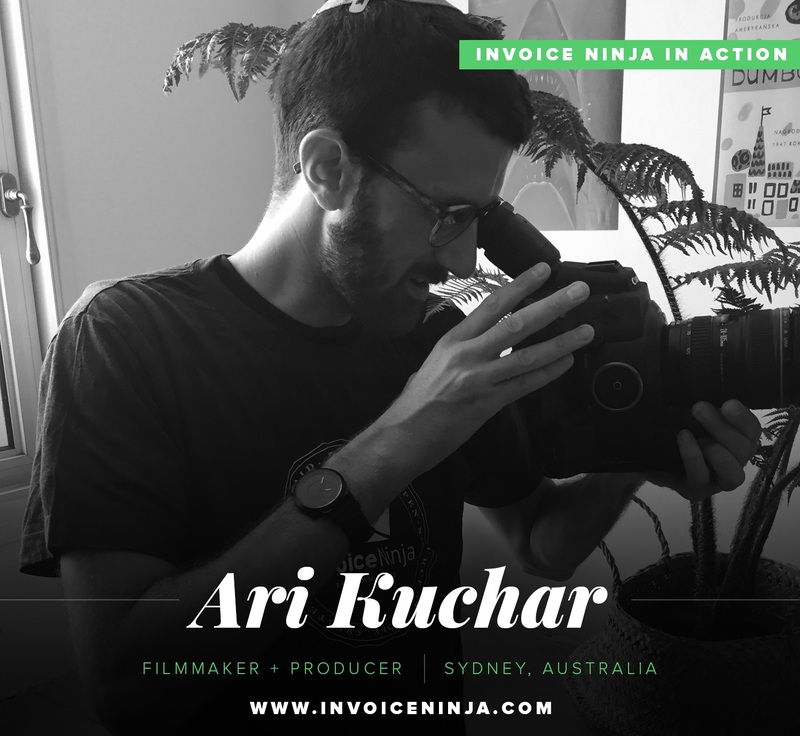 Ari Kuchar is a multi award-winning commercial and documentary filmmaker and producer. He has been working in film production for over a decade, working with clients such as Adidas, Nickelodeon and the Wall Street Journal. 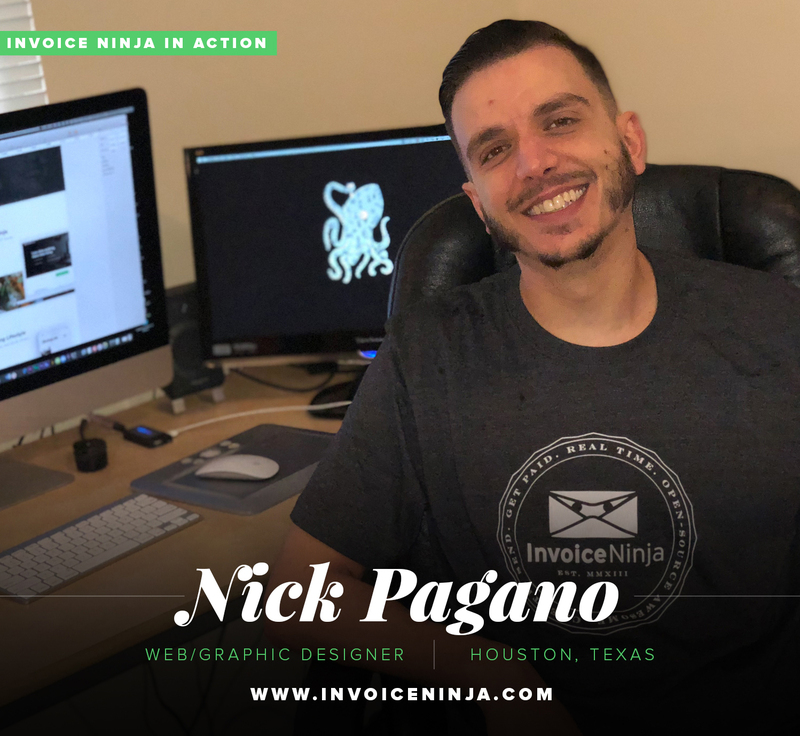 Nick Pagano is a web and graphic designer from Houston, Texas. "I went to the Art Institute of Houston, and to the shock, surprise, and elation of my parents, I did pretty well!" For the past 13+ years Nick has been working with companies of all sizes, in just about all industries, in over 11 countries. 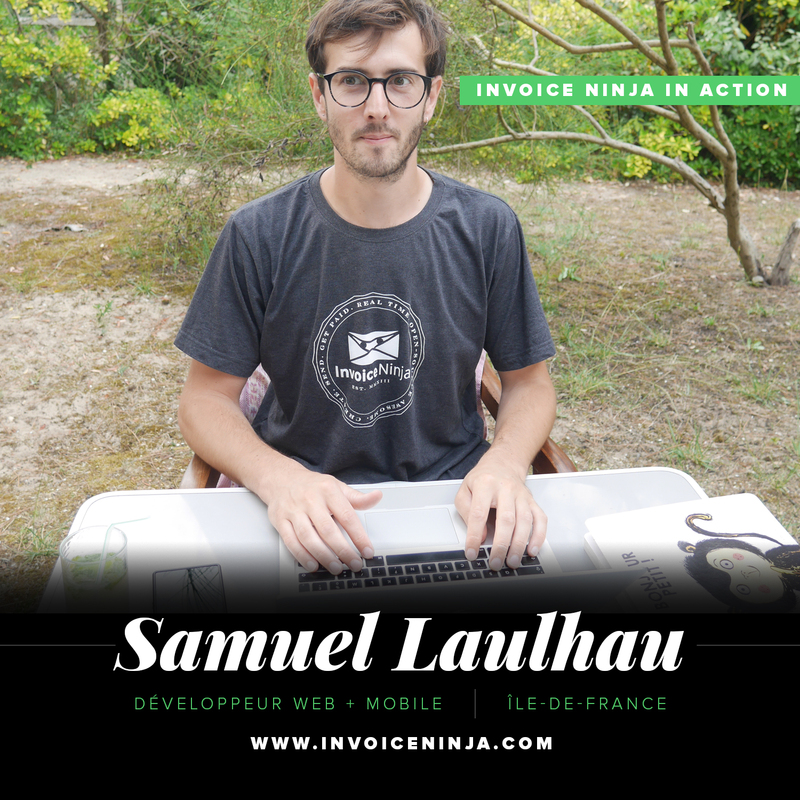 Are you an Invoice Ninja? 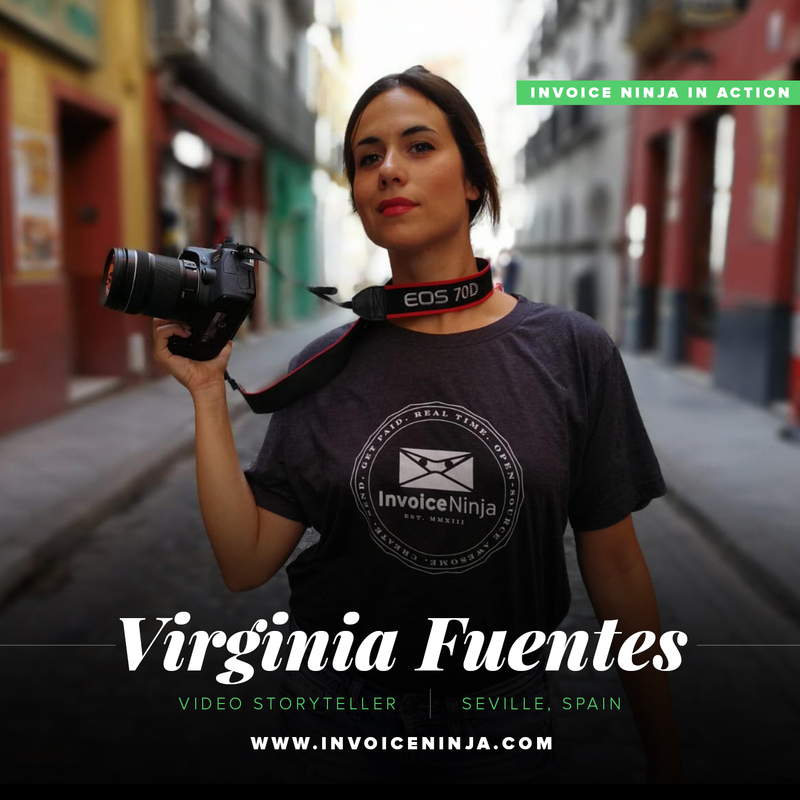 We'd love to hear about what you do & how Invoice Ninja helps you get it done! Contact us and we'll highlight your company!